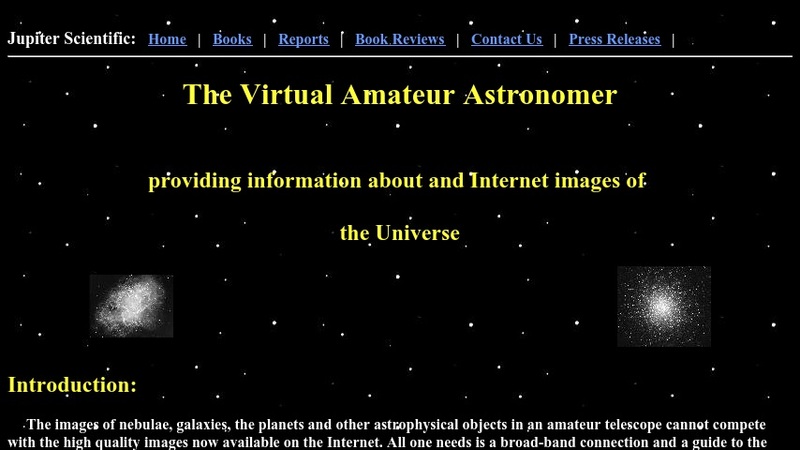 The Virtual Amateur Astronomer is an archive of high-quality images of all varieties of astronomical objects. The images, hosted on the Virtual Amateur Astronomer web site and linked from other web pages, include high- and low-resolution versions (where available), brief descriptions, and links to additional information. They are organized by subject: the solar system, Messier objects, the Milky Way and universe, and a selection of miscellaneous images. There is also a "best of" category, links to other web sites with astronomical imagery, and a selection of images capturing the amateur experience, captured through small telescopes.